Hotel Midtown is placed in a great and quiet location, just 20 minutes’ walking from the Milan Cathedral. The Midtown is a good place to meet young travelers and enjoy your trip without spending a lot. 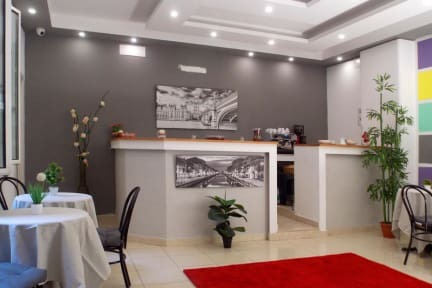 Among the standard services of a modern and functional one star hotel, the Milan Hotel Midtown has spacious, bright and comfortable rooms, and it is one of the most friendly 1 star hotel in Milan. People from all over the world use to gather in our cozy common area. Centrally located, just 1.5 km away from the city centre, Corso XXII Marzo combines nature and shopping. Shops are all along the path which brings to the historical city centre and the many parks located along the route. Hotel Midtown is nearby the Milan Ice Palace situated at Via Piranesi n.14. Hotel Diablo Milano is situated in a top and strategic location, in one of the beautiful street of Milan, full of shops, stores, and clubs. This excellent position, optimally served by bus, tram and subway, allows to reach important places of the city in few minutes. Nearby tourist spots are: The Central Station and the down town, where there is the most important monument of Milan, Milan Cathedral. Linate airport is only seven minutes far from the hotel. Also, Malpensa and Orio al Serio airports are easy connected to the hotel area. 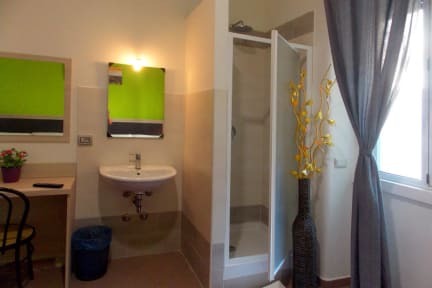 All rooms are equipped with private or shared bathroom on the floor, television, Wi-Fi, and air conditioning. Some of them are also equipped to accommodate people with disabilities. Cancellation policy: 48h before arrival. This property might pre-authorize your credit card. Sheets for renting at 3 euros per person per night. Compulsory to our sheets for renting.